I've already posted this a while ago, now I've made a short video showing the problem. The iris of this lens is not adjusted at all when set via the menu or the Atem switcher. There is one behaviour also shown at the end of the video: when setting the iris in the menu and unplugging the lens from the camera and plugging it back in, the iris will go to the last set f-stop. Last edited by Knut Bussian on Thu Oct 11, 2018 4:01 pm, edited 1 time in total. But why does the lens jump to the right iris position when switched on? I had that issue with a few of my lenses as well. A SD 66x lens, etc. But we cant make heads or tails of it either. Matt Certa wrote: I had that issue with a few of my lenses as well. A SD 66x lens, etc. But we cant make heads or tails of it either. Fujinon Ah66x 9.5-625mm F1.6 ?? Knut, thst lens should work with the Broadcast camera, according to thr manual. Do you have access to another lens to try, just to rule out an issue with that lens. Otherwise, sounds like thr camera is not working correctly, I would contact your BM Regional Support Office to have the camera checked. I know, that this lens is supposed to work. I bought it because of the fact it is on the "list of lenses know to work with Ursa Broadcast". And since it is not working I am asking here in the forum because I don't think that the camera is faulty. Our second Ursa Broadcast behaves exactly the same with the HA22x7.8. Both Ursas are working fine with our other lenses (A22x7.8BERM-M48B, A22x7.8-BERM-M28). And those are DIGIPower lenses as well - only much older (SD). Since my Sonys have no problems with none of these lenses (checked it with PDW-F355, PXW-X320) and since both Ursas behave the same on the HA22x7.8 lens, it must have something to do with the Ursa firmware how the iris is controlled. My hope was that someone from Blackmagic chimes in and sheds some light on this issue. It seems like this is not the only lens the Ursas are having problems with. And no, changing the dip switches and potentiometers in the lens handgrip don't do anything on this behaviour. If this is the case, maybe it would be possible to add a preference in the Ursa menu. Like: "Use digital / analog iris control". 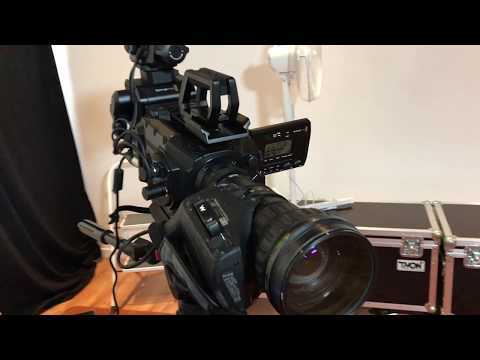 I agree with you here Knut, I saw you had two Ursa Broadcast camers, and figured you are having a Camera/lens interface issue here. I was suggesting a direct contact with BM Support directly, which will get this issue resolved faster, than posting here on the Ursers Forum. It is an interesting issue, obviously the camera and lens are working correctly, jut not working together? Please keep us posted when you find the answer. Last edited by Denny Smith on Wed Oct 10, 2018 5:45 pm, edited 2 times in total. Willing to bet that there is something wonky with the serial protocol - by reading the firmware update notes it seems like some lenses using serial / digital control needs some special magic to work fully. This might be one of those that BMD haven't gotten to yet? That said, as it can read the correct value at startup, it's weird that it doesn't "do the same thing" as time goes on. Is there any news on this topic? I have a HA13.x4.5 BERM that's also not working on the iris control. I have noticed iris control with the Ursa Broadcast is not as straight forward as it would seem. I have a new Angenieux HR 5.5-70 ENG Zoom, and iris control works, but only if the camera and lens are set correctly. First, the lens iris control on the zoom handle needs to be set to “Auto”. The Ursa Broadcast can control the iris two ways, but if one is selected, the other will not work. First pull down the f/stop indicator on the top of the screen, and see if you can change the iris by dragging the displayed slider on the screen, if yes, then the camera is communicating with the camera. After selecting this mode, the Iris wheel on the side of the camera will not work. To get the iris wheel to work, click Auto iris on the bottom right hand corner when the iris slider is displayed. 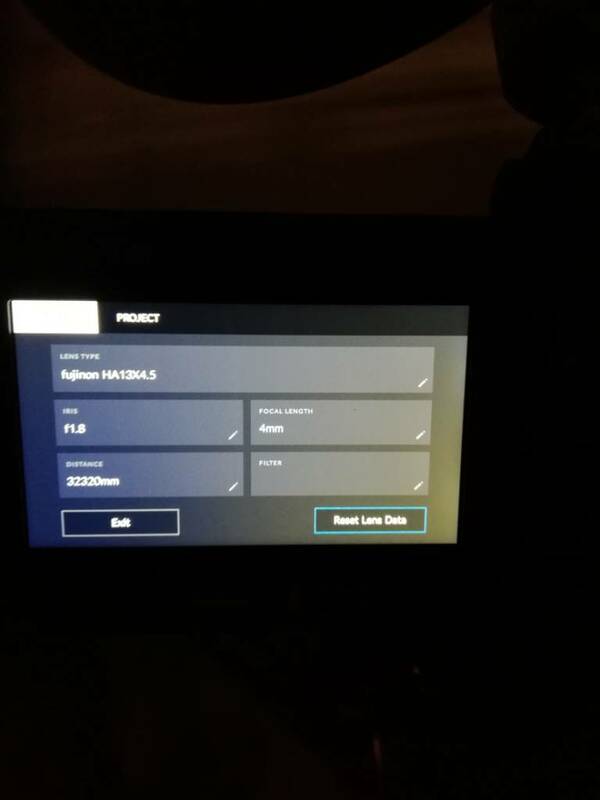 This will switch control to full auto mode, and allow you to control the iris with the wheel or ATEM, and if you push theniris button on the lens, next to the Auto/Manual selector yiu will get a iris setting based in the camera selection (auto iris). This is based on my experience with the Angie ENG zoom, you can only use either the full Auto setting, or the “camera manual” setting at one time, not both, and the display screen “Auto Iris” setting over rides any other mode. Not sure if this will help, but worth checking out with the problematic Fuji Digi-Zoom. The URSA seems not be able control the iris. However it can read some lens data. The iris, zoom and focus positions are working. The auto exposure knob in the URSA onscreen menu has to be off. Thank you VERY much! It solved my iris problem, too!!! Fujinon HA22x7.8BERM-M48 now working smooth as silk in analog mode! Thanks again! This is what I LOVE the internet for! Good, glad you got it all sorted.